L.R. 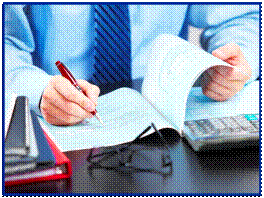 Bult & Associates, LTD. - Your Small Business Accounting Specialists. Many years ago, Donald J. Todd, CPA, originally established our corporate family on the principles and practice of friendly, personalized and high quality service to each and every client. Due to his standards of excellence, many of Don’s clients have remained with us to date. In May of 2002, Loren Bult joined our team bringing with him several years of Big 5 tax expertise. He possesses extensive experience in corporate compliance, real estate and investment partnerships as well as an enduring history of small business ownership. Loren has since been involved in every aspect of our firm. Don passed the reigns to Loren on January 5, 2004 and our new company, LR Bult & Associates Ltd, emerged. Although, our name and leadership has changed, we maintain the principles and practices of Don’s original ideals. LR Bult & Associates Ltd is dedicated and committed to providing exceptional, high quality accounting and income tax planning skills to our closely connected community of individuals and small businesses. Loren R. Bult, CPA: Loren has over 17 years of experience which includes several years of "Big 5" tax with specialties in corporate compliance and real estate partnerships. In addition, Loren currently serves as the Treasurer for the Calumet City Chamber of Commerce, is a Certified QuickBooks ProAdvisor, is Certified in QuickBooks Point of Sale and QuickBooks Enterprise Solutions and served in office as an elected Trustee for the Village of Thornton. Karen L. Ostrowski, Accountant: Karen has over 16 years of experience in tax, corporate, manufacturing and governmental accounting with an emphasis on individual tax preparation. She has processed client accounting, payroll and sales taxes as well. Holds a Bachelor's degree in Accounting and a Bachelor's degree in Restaurant & Hotel management. Worked as a restaurant manager for 9 years. Held a real estate brokers license in North Carolina. Rebecca L. Holdcraft: Becky is a proficient and skilled Certified QuickBooks ProAdvisor. She has been meticulously working behind the scenes for several years now and is taking on a larger role in our firm as her knowledge and experience grows. Kim Haines: Kim has a background in Fiduciary trust and Estate tax preparation. She holds over 20 years experience in bookkeeping and office management for a wide range of small businesses. Stephanie Feinberg: Stephanie is a strong administrative professional who provides assistance and support to our office staff and clients. She holds a Bachelor's degree in Hospitality and Tourism management. She is experienced in QuickBooks and has strong computer skills. Contact us anytime. We are always happy to address all your questions and concerns. We invite you to call us today to speak directly with Loren or to set a consultation with our extremely qualified and competent accountants. We look forward to hearing from you. Friendly, Professional and Highly Qualified CPAs! L.R. Bult & Associates, LTD.